We've assembled the top online clothing stores to present their selection of tall womens extra long jeans to you. You'll find a great selection of extra long womens jeans at each of these merchants, and you can look forward to looking and feeling your best when you wear jeans that are long enough. We know, because we're tall, too! Tall womens jeans in 2019 are getting closer to leggings in their overall fit, while retaining the more resilient nature of denim. Skinny womens jeans continue to stand out, and even bootcut jeans are cut slim. Womens stretch jeans are popular across all cuts and styles, allowing you movement even when your jeans are snug. All of this benefits the "look" inherent in the long legs of tall women, complementing the extra long inseams of their tall jeans. Who has tall womens jeans on sale today? Check out the merchants below. 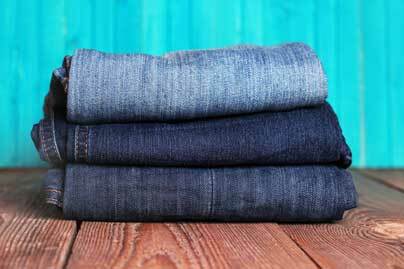 One of the top online retailers has over 90 pairs of tall womens extra long jeans, from Levi's, 7 for All Mankind, Hudson, Jag Jeans, Liverpool, NYDJ, Paige, Rock and Roll Cowgirl, Wrangler, and more, in 34 inch, 35 inch, 36 inch, 37 inch, and 38 inch inseams. Shop direct with Asos, with 16 million customers worldwide, for tall womens extra long jeans in 36 inseams and tall womens extra long jeans in 38 inseams. Free shipping and free return shipping from their U.S. warehouses. Don't miss this merchant! Gap features over 300 pairs of tall womens jeans, in extra long inseams. Shop here for slim cut, skinny cut, crop, curvy, and straight leg tall womens jeans. Old Navy features extra long womens jeans in tall straight jeans, tall skinny jeans, tall ankle jeans, tall curvy jeans, and more, in 34 inch and 36 inch inseams. Macy's has a good selection of stylish tall womens jeans in long inseams. The Buckle has jeans in 34 inch, 35 inch, 36 inch, and 37 inch extra long inseams from BKE, Rock Revival, Miss Me, Silver Jeans, Flying Monkey, Daytrip, and more. Bloomingdale's features 34 inseam, 35 inseam, and 36 inseam jeans from 7 for All Mankind, Joe's Jeans, Hudson, NYDJ, True Religion, and more. Use the "Inseam" pull-down on the left to find your size. Alloy is a go-to shop for extra long tall womens jeans, in 35", 37" and 39" inseams, in skinny, bootcut, flared, high waist, and booty enhancer styles. Banana Republic features extra long womens jeans in 34 inch inseams.